Adding to the list of perks for Amazon Prime subscription, Amazon has today introduced ‘Prime Reading’ in India. This service, which was first unveiled back in 2016 in the US, is designed to give Prime subscribers access to a collection of hundreds of free e-books and comics. 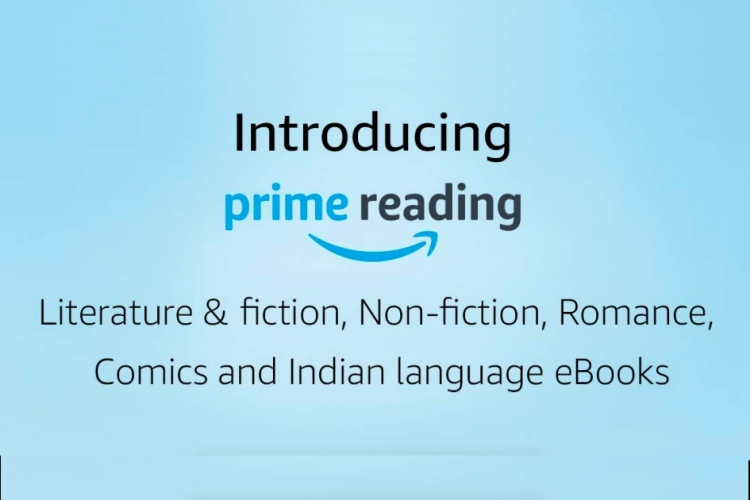 Amazon Prime Reading includes a curated list of e-books including literature, fiction, and Indian-language books, along with comic books and graphic novels that would make for a good quick read during your daily commute. You can read an unlimited number of books under this new program, but you can check out ten free books at once, after which you’ll need to return one of the read ones to add a new book to your library. Prime Reading is unlike Kindle Unlimited and it doesn’t require you to have a Kindle e-reader to read books. Instead, if you’re a prime member, you can now browse through the catalogue and read books even using the Kindle app on your phone or desktop. You can even access the free ‘Prime Reading’ perk using Amazon Cloud Reader on the web and Kindle Lite on Android phones as well. This is the e-commerce giant’s latest initiative to further sweeten the Prime subscription service for users, and makes a lot of sense for a family with many readers. To sum it all up, the Rs 999 Amazon Prime subscription in India now includes free two-day delivery, Prime Video, Prime Music, and now even Prime Reading. I’m eagerly waiting for Amazon to bring Twitch Prime to India to round off the package.